“The best MMA romance ever. 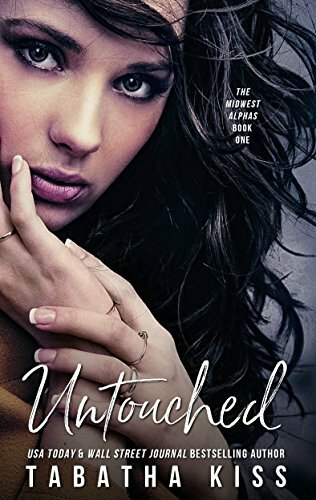 There’s no question.” –Amazon ReviewerA brand-new, extended edition of The Midwest Alphas Trilogy from USA Today and Wall Street Journal bestselling author, Tabatha Kiss!They told me to stay away from him. But he couldn’t stay away from me. CLAIREI’m exiled.My parents sent me far away from home to be scared straight by ex-cop step-uncle.That’s when I met my step-cousin, Tobias.Stay away from him, they told me. He’s a good guy.If that’s true, then why does he come home covered in bruises?I followed him one night. I’m not sure what I was expecting to find but seeing him beat another man senseless in a boxing ring surrounded by adoring fans wasn’t it.An illegal MMA tournament called The Midwest Alphas. Home to some of the most brutal fighters in the country and Tobias is the local favorite to win the whole thing.But there’s something he wants more than underground fame and glory…And he’s looking right at me. TOBIASI’m screwed.Living a double life was difficult enough already.The last thing I needed was a curious girl like Claire following me around.Stay away from her, they told me. She’s a troubled girl.If that’s true, then she and I have more in common than they think.I joined The Midwest Alphas for more than underground fame and glory. There’s more at stake here but I can’t focus on winning with Claire’s eyes on me the whole time. She’s a distraction. One that I can’t afford to indulge in. I want her but I shouldn’t. I’m supposed to help protect her from men like me but I can hardly control myself around her.She’s young. Too young.I can’t touch her. Yet.Untouched: The ALPHA Edition features nearly 10,000 new words. More blood, more sweat, and more forbidden love, all from Tobias’ perspective. Get into the mind of the Alpha for the first time and learn more about the dark and dangerous underground world of The Midwest Alphas! Book 1 of 3, so you can expect a mild plot cliffhanger.